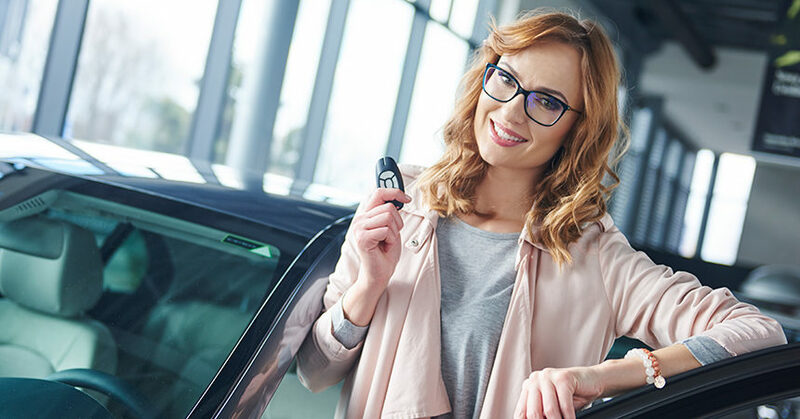 Women influence 85% of new-vehicle purchases and buy two-thirds of new vehicles—is your dealership giving them the experience they’re looking for? On June 24-26, Women in Automotive (WIA), founded in 2015 by six female leaders in the automotive industry, will hold its latest conference in Orlando. The growth and success of WIA and its conferences reflect the need—and great opportunity—for more women to get into the rapidly changing world of automotive retail. Last year, Dealer Marketing Magazine’s cover feature prior to the July 2017 WIA conference asked three female veterans of the industry what must change for dealerships and related businesses to attract and retain more women to the profession. Their conclusion, to paraphrase simply: A lot. It’s been obvious for years that automotive retail needed women more than ever to accommodate changing consumer behavior and demographics, and offered them career opportunities that rivaled or bettered many less male-dominated professions. Why is it so important to increase the number of women in dealerships and other industry positions? From a talent standpoint, it just plain didn’t make sense that women—who represent more than half of the U.S. population—made up less than 20% of dealership employees, and less than 8% of ownership or upper management roles. The number of qualified professional women available versus the number of actual positions in the industry represent a huge loss of talent . . . and potential revenue. In today’s marketplace, where consumers are smarter and more discerning than ever, dealers can’t afford to waste any edge they can get, or take a dismissive attitude toward any buying demographic. This is especially true now that women influence more than 85% of new-vehicle purchases, and in fact buy nearly two-thirds of new cars and trucks in the U.S. It’s doubtful that many of these female consumers insist on buying their vehicles from other women, but how can an industry where they are so dramatically underrepresented truly understand their specific wants and needs? Although it’s true that the generalization should not be made that the vehicle-buying experience women and men are seeking is dramatically different, there are institutional assumptions and traditions in the industry that many female buyers do not want. That’s why we asked three female professionals in automotive to consider what women do and don’t want when buying a vehicle. It’s information everyone in automotive retail needs to know. Lori Wittman is senior vice president of Retail Dealer Solutions at Cox Automotive. She manages the VinSolutions, Dealertrack Registration & Title Services, and Xtime business units, overseeing all aspects of operations and business performance for these businesses. Lori has a long track record of driving business results. 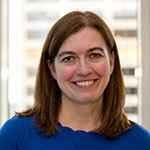 Before joining Cox Automotive in 2013, she led large technology projects for Accenture for more than 10 years. In 2015, she was recognized by Automotive News as one of the 100 Leading Women in the North American Auto Industry. Lori holds a bachelor’s degree in accounting and business administration from the University of Kansas. Vallancourt: Whether communicating through email or social media, engage consumers how they expect to be communicated with today. Consumers expect an Amazon-like experience. They expect you to listen to them, know them, connect them, and help them. Dealers that continue to treat consumers all the same do so at their peril. It does not matter if the consumer is male or female; dealers need to employ artificially intelligent solutions that enhance their digital marketing to offer their consumers a seamless process moving from the online marketplace to their individual rooftop. Deliver dynamic, individualized communications across channels and meet consumers where they are in their own individual life cycles. Wittman: An organized dealership is key to effective marketing and selling. This includes leveraging the CRM for proactive communication with leads and customers, as well as having staff that is prepared for new customers that walk into the dealership. Women are often more organized on their end of the car-buying process, making dealership organization critical. To best sell to women, keep all their information and previous communications at your fingertips using technology, such as a tool like VinSolutions Connect CRM. One easy way to sabotage dealership organization is to expect your salespeople to keep track of detailed customer notes on their own. That is far too much to ask; give your staff good technology. Venneri: Female car buyers value online reviews. According to our sixth annual Automotive Social Media Trends Study of 4,000-plus car buyers and service customers, 33% of women placed a considerable weight on a dealership’s star rating, and 7% of women selected dealerships based on online reviews alone. Dealers should carefully manage their online review sites to reflect the experiences of satisfied customers—not just those that want to complain. Surveying customers immediately after a transaction is a great way to boost ratings. A quick survey can be given at the point of sale, via text message, or through social media to make it more convenient for the consumer. Positive survey results can then be copied to review sites to help boost star ratings. Additionally, responding to all reviews, both positive and negative, shows potential customers that a dealership cares about customer experience and is willing to be transparent. Vallancourt: Much like [Aretha Franklin’s] song “Respect” says—all people deserve respect. Consumers are savvier today than they were even five to 10 years ago. They have done their research online and know more about the cars on your lot than your salespeople do. Consumers are no longer predictable and brand-allegiant—offer them respect and a consistent experience across your dealer groups to build lasting customer relationships. Your next purchaser is already in your service lane or is about to have a life-changing experience, and will need to upgrade their vehicle—think marriage or birth of a child. Customer retention is often forgotten or ignored—put your customers first while treating them with respect, or lose a customer for life. Wittman: Every VinSolutions employee has at least once heard me say “feedback is a gift.” It’s a motto I live by when it comes to managing, but it also applies to selling. Too many dealers ignore customer feedback, instead of treating it like the valuable gift that it is. Women often walk into a dealership knowing exactly what they want and likely have already interacted with the dealership online. In this digital age, dealers need to understand this and not try to oversell women on a vehicle or features they do not want. Likewise, if a customer requests a specific color, model, financing option, etc., it is critical that dealers address those requests, even if they can’t fully deliver. Too often, dealers try to do what suits them, instead of the customer. To best sell to women, really listen to what they tell you, and make sure they know you’ve heard them. Venneri: How fast you respond is critically important to women. Nearly half of all women surveyed in our study reported that lead response time had a major impact on their willingness to purchase from that dealership. Responding to leads in a timely manner shows customers that a dealership is not only professional, but the speed of response sets the tone for the level of customer service the dealership provides. Although it can be difficult to achieve at times, the ideal rate of response is within 10 minutes. Dealers who respond within this timeframe have been shown to be three times more likely to sell a vehicle because [they] are engaging customers at their highest point of interest. Vallancourt: The idea of emotional intelligence has come back around again with a vengeance. Google “selling with emotional intelligence” and you get articles from 2003 to present day. Regardless if you are selling to males or females, it is a key component of selling—especially with larger purchases such as buying a vehicle. Salespeople who use their emotions to their advantage will provide the best sales experience. Delayed gratification is a key emotional intelligence skill that impacts prospecting, which in turn ties to customer retention. Salespeople who score high in delayed gratification understand that prospecting is part of a continuous process and not an event—thereby, they will continue to prospect even without an immediate reward. If you continue to engage your consumers intelligently and remember to constantly be prospecting, your customers will return to you time and again. Wittman: Women often especially appreciate a personal connection with the people they choose to do business with. Knowing their names, what they do for a living, their family background, and most importantly, what kind of car they are looking to buy when you call them can be the difference between having a customer for life and being hung up on. A CRM is a great tool to help you build meaningful customer relationships, but, as we tell our dealership customers all the time, a CRM is only as good as its users. For a CRM to do its best work, every customer interaction needs to be recorded from the first moment of interaction, and updated throughout. Venneri: Women are much more likely to check into a dealership via social media than men. More than one-third of women responding to our study reported they frequently use apps to check into the dealerships they visit, with half reporting their main motivation was to support the business, whereas the other half did so to inform their friends. Ways to encourage check-ins include simply posting signs asking customers to check in, providing high-quality customer service, and offering a reward or giveaway for checking in such as a free car wash, 20% off accessories, or a new coffee mug or key chain. Vallancourt: Females are integral in the car buying experience—women influence 85% of overall buying decisions in North American households, and purchase 65% of new vehicles. With stats like these, dealerships need to recognize that creating lasting relationships, particularly with the women in each household, is imperative to their success. The key is to communicate on every level—from keeping consumers engaged with relevant content that they are interested in based on their online behavior, all the way to when they raise their hand and say they are ready to buy. Focusing on communication will help dealers create lasting relationships—communicate, communicate, communicate! Monitor and optimize every aspect to start seeing higher success. A woman can buy a car by herself. If she’s there by herself, assume that she is making the decision. If she is there with somebody else, still consider her a decision-maker. Do not ignore or patronize women looking to do business with you. Women have the knowledge and money to make a car-buying decision without input from a man, so treat them that way. Like anything else, it helps if there’s a process that people are trained on and held accountable to. Venneri: Facebook is the No. 1 place where customers reported checking in to dealerships. Although both men and women check in through Facebook fairly frequently, our study revealed more than 68% of women use Facebook to check in, as opposed to just 54% of men. It’s also important to note that women are motivated to like a business on Facebook for similar reasons they check in to businesses. Of the 68% of women who reported liking businesses on Facebook, half did so because they wanted to support the business, and the other half did so because they had a good experience. This reinforces the need to provide quality customer service at all times—it could be the difference between engaging leads via social media or being skipped over in favor of a competitor. Vallancourt: It does not matter if you are selling to a male or female, grandparent, college student, etc. They are all human, females too, and they each have their own individual life cycle that they are going to go through—and that cycle continues even once they have made a purchase. If you cannot act or react to these different stages through each of their own individual digital footprints, you are going to lose. You need to acquire tools such as a marketing automation platform driven by artificial intelligence in order to meet consumers exactly where they are at through every stage of their individual life cycles. Wittman: I’ve been the only woman in the room for most of my life. I consider myself lucky to have been raised on a farm, walking the soybean fields alongside the boys, because I’ve never questioned whether I belong somewhere because of my gender. On the farm, rolled-up sleeves were rolled-up sleeves; no one cared if you were a man or a woman if you knew what you were doing. At many dealerships, I watch the opposite take place in the selling process. Malicious or not, far too many dealers buy into the stereotype that women don’t know anything about cars or financing. Too many dealerships leave women feeling like they don’t belong. So this one is simple. Give all your customers the same respect. Make every customer—regardless of gender—know they are a valued customer. Venneri: Instagram may not be a dealer’s typical go-to social media sites, but is great for engaging with women. Of the women surveyed in our study, 25% reported using Instagram. Conversely, only 13% of men reported using [it]. Because a quarter of women car buyers frequent the site, Instagram provides dealers with a unique opportunity to specifically engage with women. One of Instagram’s primary advantages is that it provides users with ideas on what to buy. According to a RetailDive analysis, around 75% of users reported using Instagram to plan future purchases. Instagram is a great tool to effectively cultivate female buyer interest, which can ultimately lead to conversions. When selling vehicles, offer to take photos of the customers and their new vehicles with their phones. Ask them to post the photo to their social sites and tag the dealership. This can easily be done by whomever delivers the vehicle after they walk the buyer through all the vehicle’s features.